Direct conflict between Israeli and Iranian forces is increasingly likely in Syria, according to Secretary of Defense Jim Mattis. Mattis met with his Israeli counterpart, Avigdor Liberman, at the Pentagon. Mattis said he saw no reason for Iran to ship advanced missiles to Hezbollah through Syria except to threaten Israel. Receiving Liberman, Mattis told reporters that he saw no reason for Iran to ship advanced missiles to Hezbollah through Syria except to threaten Israel.“I can see how it might start, but I am not sure when or where,” the secretary told lawmakers. 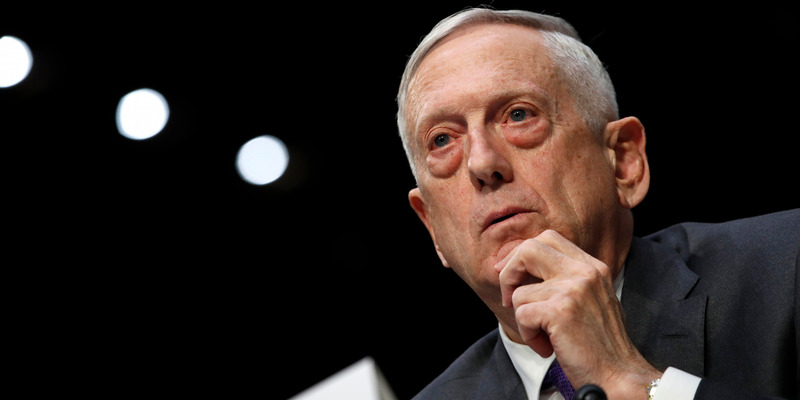 Mattis then echoed Liberman’s warning from earlier in the day, issued through a Saudi newspaper, in which he said Israeli forces would strike Tehran if Iranian missiles ever hit Tel Aviv.The two met at the Pentagon after Liberman met with US President Donald Trump’s national security advisor, John Bolton; his special representative for international negotiations, Jason Greenblatt; and his son-in-law and senior adviser, Jared Kushner, at the White House.Iran was the focus of conversation there, as well, according to a statement issued by Israel’s embassy in Washington.At the hearing, Mattis seemed to question the wisdom of hastily withdrawing from the Iran nuclear accord, just two weeks shy of a May 12 deadline set by Trump for US and European diplomats to come up with “fixes” to its most controversial provisions.Should they fail, Trump is threatening to withdraw the US from the agreement by reimposing nuclear-related sanctions on Iran lifted by the 2015 deal.Mattis said that criticisms of the agreement are “valid,” but that, ” obviously, aspects of the agreement that can be improved upon.” The position appeared in sync with that of French President Emmanuel Macron, who at the White House on Tuesday proposed expanding on the existing nuclear deal rather than attempting to start from scratch.​”​I will say it is written almost with an assumption that Iran would try to cheat,​”​ ​Mattis ​told the Senate panel.​ He said he had read the agreement in full several times, including its classified annexes.​​”​T​he verification, what is in there, is actually pretty robust as far as our intrusive ability to get in​.​”Trump says he wants new terms imposed onto the deal by France, Britain, Germany and the US that will grant international inspectors greater access to Iran’s military sites. He also hopes to impose new restrictions on Iran’s ballistic missile work – inextricably linked to the nuclear warheads they are built to deliver, his administration says– and to scrap “sunset clauses” in the deal that will allow Tehran to resume much of its nuclear enrichment work. ← Donald Trump’s Re-Election Campaign Is Using Kanye West’s Support To Grift Money Off Republican Donors!